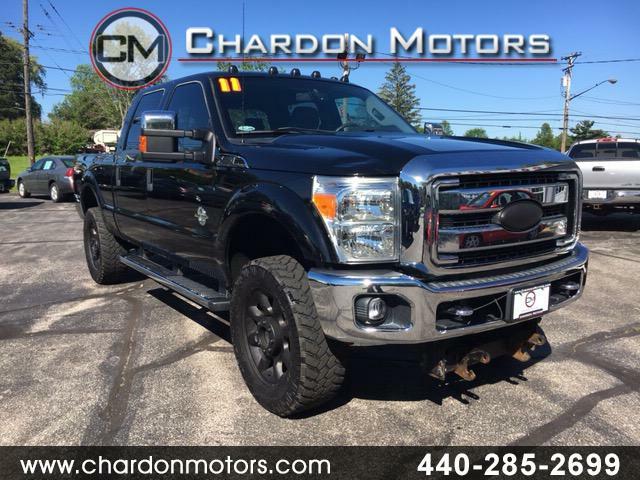 2011 Ford F-350 Super Duty FX4 Crew Cab Powerstroke 6.7 Offered by Chardon Motors. This is a CARFAX CERTFIED vehicle. Sweet Truck! Way below market price! Drives 100% XLT package/ FX4 package. Microsoft Sync, steering wheel controls, built in trailer brake, plow mount, oversized tires, remote start, full power accessories, factory running boards, and more. Really impressive machine - comfortable and powerful and room for the crew. Some minor cosmetic dings and paint imperfections. We are offering it $2500 under market. Diesel warranties are available too. Financing available through national and local banks.